Who doesn't love a wedding?! 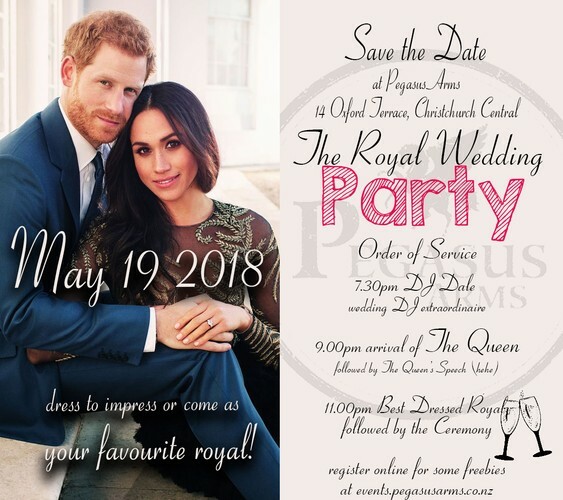 It's time to party like the royals - special guest The Queen and her Corgi (aka the infamous Shay Horay), wedding disco extraordinaire DJ Dale, bubbles and wedding cake, and the ceremony from 11:30pm. Dress to impress or come as your favourite Royal. Restaurants to book near Royal Wedding Party!